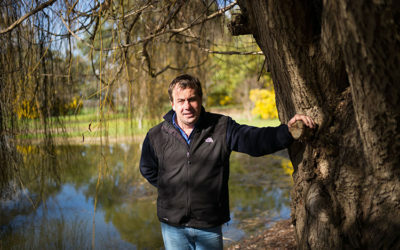 Recently when asked what the big issue in biosecurity is, Casella’s South Australian Vineyard Manager Peter Bird paused, then reluctantly responded: grower apathy. “And I include myself in that!” says Peter, who oversees 3,800 hectares of Casella vines across every SA wine region as well as 90 hectares of his own vines in Wrattonbully. 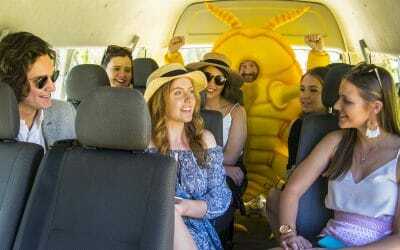 “I look at my own, and our Casella vineyards and I don’t know whether I should be proud of the fact or stunned that we’ve kept Phylloxera out of South Australia. We’re not quarantine stations. There are good processes in place that lessen risk, but do not remove it, so the religious enforcement and adherence to protocols threatens to always be an issue. “In a general sense, the mechanisms and systems are not robustly followed enough. For example, I’d challenge anyone who claimed to be policing every car or visitor that comes through the gate. “We (Casella) do a reasonably good job of introducing our staff, visitors and contractors to farm-gate hygiene practices though education, signage and inductions. 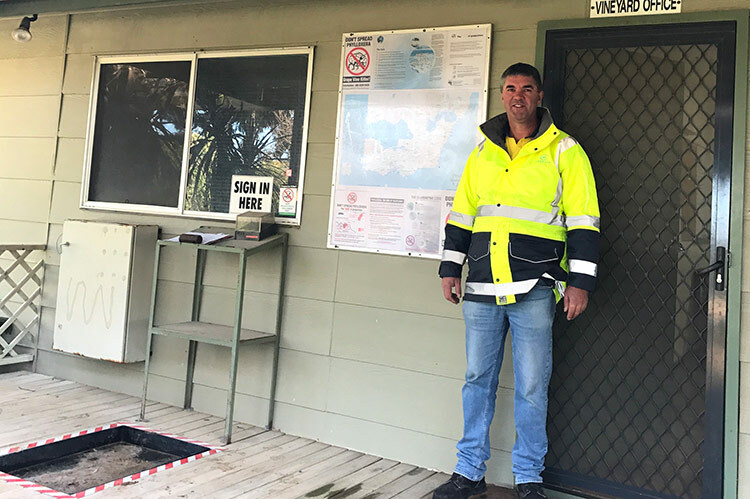 Our online induction program for every staff member and contractor includes biosecurity and farm-gate hygiene expectations as well as health and safety and other concerns, but I still worry. Is ‘reasonably good’ acceptable? Peter fears the recent Industry downturn has done more than reduce profitability. “Good people have left the industry, training organisations have struggled, the flow of younger enthusiastic starters to the industry almost stopped,” he said. 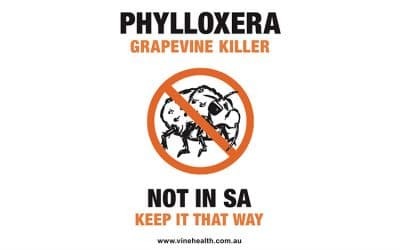 Peter says the recent return to growth in the wine industry, while very welcome, increases the risks of pest and disease outbreaks unless farm-gate hygiene standards and education lift in line with the growth. 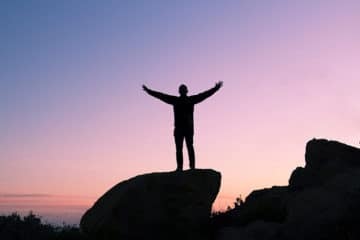 “It’s human nature – people get busy and shortcuts are taken. The risk is ever present, you just have to look at the Yarra phylloxera outbreak. 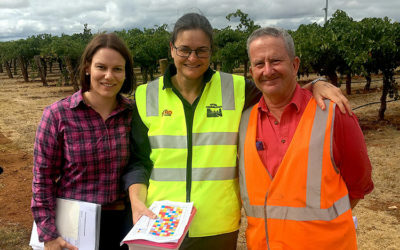 We really can’t afford to ignore biosecurity,” Peter said. “It is not easy, and as a modest defense, I return to the question, ‘What more can I feasibly do?’ I’ve always said that fences make for good neighbours. On all of our sites, we aim to use fencing to try to corral visitors to a point, right down to locking gates on weekends to restrict access. We aim to use standard signage on gates across all our vineyards. We include contact details of the relevant site managers on the signs. It is not foolproof and we could always do more. 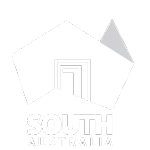 “We’re lucky and fortunate in South Australia to have an organisation like Vinehealth Australia to provide the information and tools that we need to keep our vineyards safer, but the challenge remains that we growers have to be driven enough to actually use them. For a list of the top 10 farm-gate hygiene activities that every grower should implement, click here.